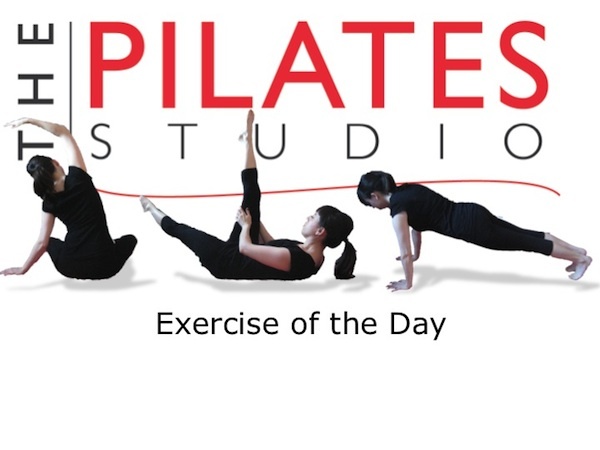 This exercise is intended to increase the balance challenge, while continuing to increase the oblique abdominal connection. To do this exercise you will need a mat and a Foam Roller. Start by lying on the foam roller with your spine running along the length of the roller. Your head and your pelvis should both be on the roller with your knees bent and your feet planted in the ground. Clasp your hands at the base of your skull and inhale into the back of your ribcage, and then exhale as you reach your right elbow, arm, and shoulder toward the left hip, thigh, and knee. Inhale into the back of your ribs again and exhale as you lower your upper body back to the foam roller. Inhale and repeat this movement on the other side, and then continue to repeat alternating sides 5-10 times. 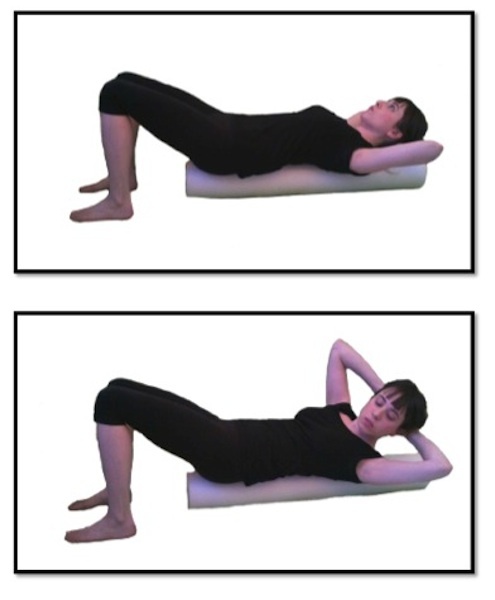 The wobbles caused by the foam roller require additional strength and control and can make this quite a challenging exercise. To continue improving your balance be sure that your feet are connected to the ground completely, and that your knees are pointed directly for the ceiling.